Hola, Welcome To Easy Solutions! Grand Opening Of Our New Harlingen Office March 27th! 2222 S Expressway 83 Ste. 514, Harlingen, TX 78550. It will be our pleasure to serve you, your family, friends, and co-workers at our new location. Expect the same quality and service you have experienced from us. We hope to see you soon! "2016 Small Business Person of the Year in The Lower Rio Grande Valley"
by U.S. Small Business Administration. "2016 City of Brownsville Proclamation Award"
Honoring and Recognizing Mr. Elias Sandoval's Entrepreneurial Contributions In Our Community. "Elias Sandoval and his team have provided me with the utmost quality and stellar care." "Easy Solutions exceeded my expectations with my beautiful custom-made kitchen island." "The service was excellent and the process has been beyond easy. I would recommend anyone that is struggling with credit issues." "I really recommend everyone to go to EASY SOLUTIONS to get their credit fixed there, excellent staff and you won't regret any decision you make with them." "Great experience and they gave me the help I needed. Highly recommended." "Muy excelente trato y amabilidad y exelente compañia"
Easy Solutions was founded In 2010, after Mr. Elias Sandoval experienced success in the corporate world along with his independent ventures. Mr. Sandoval work ethic and innovative approach to creating solutions inspired him to create Easy Solutions for A Better Tomorrow. 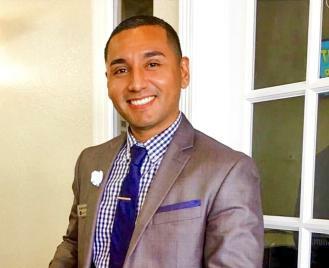 Mr. Sandoval's vision is to create a company both online and through brick and mortar locations, and conveniently offer a wide range of consumer services. Services from credit repair and home loans to construction and insurance. With the help of Mr. Sandoval's dedicated team, they are revolutionizing one industry at a time while researching and developing new services. Easy Solutions mission is to provide a memorable experience by delivering superior quality results and exceptional customer service. 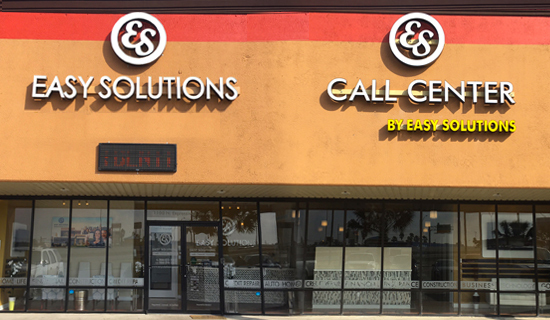 As of today, Easy Solutions has serviced thousands of clients in 427 cities that stretch across 42 states and has received numerous awards and positive reviews. Our success is credited to our growing talented team of 35 located in the U.S, Mexico, and the Philippines. Our mission is to revolutionize the new home building experience by offering a proprietary concierge program that exceeds our clients' expectations. Easy Solutions vision is to create a turn-key expansion business model so we can bless families all over the nation with their new homes. Easy Solutions strives for providing opportunities to talented and skilled individuals. We are an equal opportunity employer and encourage diversity among our company. 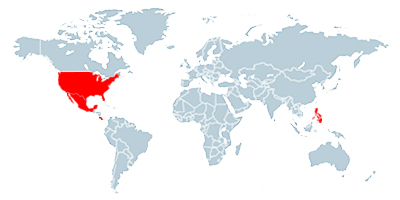 Currently, we operate a team in the U.S, Mexico, and the Philippines. At Easy Solutions, we care and value all of our team members. 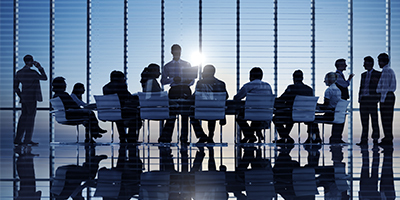 We recognize they're the core and foundation to our success and are vital to our growth. Therefore, we are constantly enhancing and developing their skills trait for further advancement opportunities. 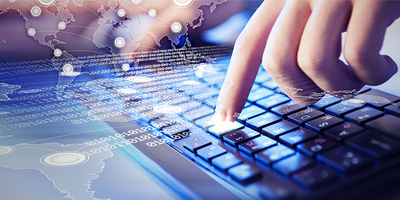 Easy Solutions is experiencing exponential growth due to the sophisticated cutting-edge technology we've innovated. We will continue to invest in Research & Development while finalizing our patents. Soon after, our technology will be available to the public. "Our mission is to continue investing in research & development while enhancing the team, operating system, and services. Once a turn-key expansion business model is accomplished, our focus will be on additional branches and franchise opportunities to meet our clients demand." "2016 SBA Small Business Person of the Year"
Elias Sandoval is the second youngest of five siblings in a family of seven. He was born and raised in the poorest community in the United States named Cameron Park in Brownsville, Tx. Mr. Sandoval grew up in a migrant family. They picked seasonal fruits and harvested crops in Florida, Ohio, Iowa, and other states in the nation. Mr. Elias Sandoval is inspired and motivated by his parents, and pursues his goals by being optimistic, determined, and hard working. Mr. Sandoval graduated from Hanna High School in 2003. Later that year, he attended St. Edward's University in Austin, Texas through the College Assistance Migrant Program. He had the privilege to study abroad twice in Spain at the Universidad de Alicante & Menendez Pelayo International University (Summer 2005 & 2006). In 2007, he proceeded to earn his Bachelor's Degree in Business Administration at St. Edward's University. Then, he pursued and obtained certifications, such as Credit Manager, Certified Debt Specialist, Certified Credit Counselor, Certified on the Fair Credit Reporting Act, Certified Credit Consumer Interviewer, Real Estate Note Specialist, Residential & Commercial Contractor, Property & Casualty Independent Insurance Agent, and Life, Accident, & Health Independent Insurance Agent. Presently, Mr. Sandoval is the Founder and C.E.O of Easy Solutions. Easy Solutions is an entrepreneurial company that offers a wide range of innovative solutions in different industries. The company has evolved to providing a full concierge proprietary new home program for our clients. 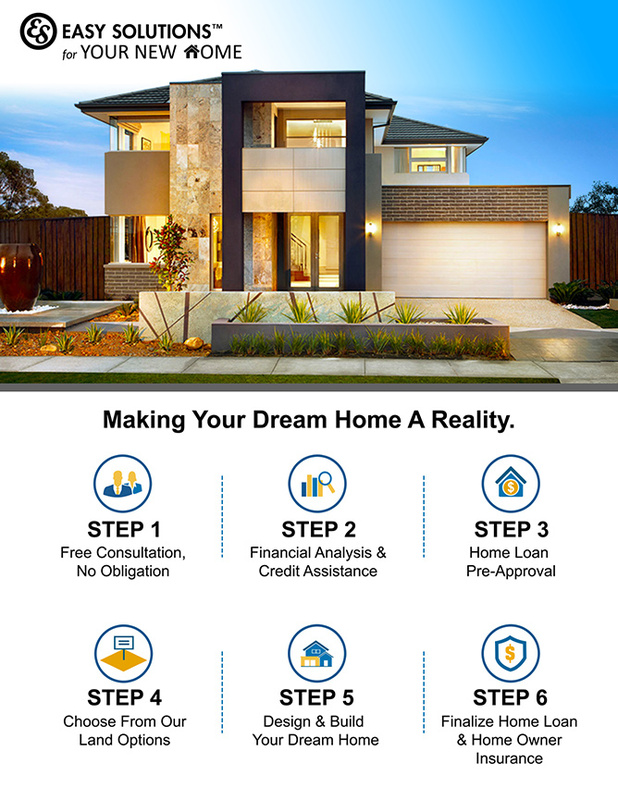 We service their credit and financial needs, pre-qualify them with our reputable lenders, design and build their homes, and finish off with home owner insurance. Easy Solutions for Your New Home from beginning to end. We have successfully assisted thousands of clients that stretch across 42 states, including Alaska and Puerto Rico. Mr. Sandoval has been blessed by having a dedicated growing team of 35 in the United States, Mexico, and the Philippines. 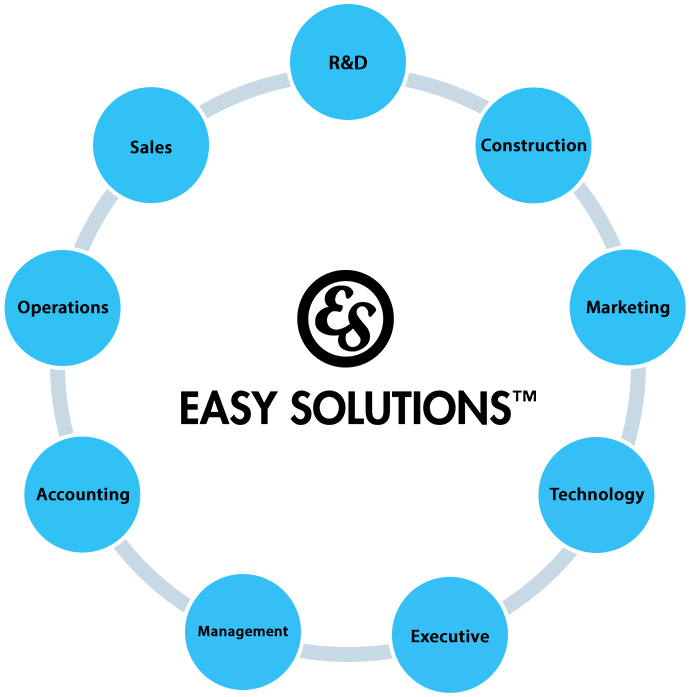 Easy Solutions presently operates 3 branches, a corporate office, a call center, and a construction warehouse in the U.S. Their mission is to continue investing in research and development while enhancing the team, operating system, and facilities. Once a turn-key expansion business model is accomplished, their focus will be on additional branches and franchise opportunities. On March 8, 2016, Elias Sandoval had the honor of receiving Yolanda Garcia Olivarez; she is the regional administrator of the U.S. Small Business Administration. Mr. Sandoval was awarded with the 2016 Small Business Person of the Lower Rio Grande Valley District Office, which consists of 14 counties and over 150,000 small businesses. Soon after that, Mr. Sandoval soon after received a prestige city award, 2016 City of Brownsville Proclamation Award, honoring and recognizing Mr. Sandoval's entrepreneurial contributions in the local community. He believes that we are a product of our way of thinking and decision making, and our only limitations are the ones we create for ourselves. Regardless of our upbringing and the challenges we face in life, Mr. Sandoval strongly believes we are all equipped to succeed. He encourages us all to first believe in ourselves. Then, pursue our dreams with an unprecedented drive and determination. * 2016 Small Business Administration - Small Business Person of the Year. * City of Brownsville Proclamation Recognition Award on May 17th, 2016. * Bachelor of Business Administration at St. Edward's University in Austin, Texas. * Studied International Business at Alicante University and Universidad de Melendez Pelayo in Spain. * Certified Credit Counselor from the International Association of Professional Debt Arbitrators. * Certified Debt Specialist from the International Association of Professional Debt Arbitrators. * Fair Credit Reporting Act and Fair And Accurate Credit Transactions Act Certified. * Real Estate Note Specialist - Founder of ES Note Funding in Austin, Texas. * Licensed Residential and Commercial Contractor. * Independent Licensed Insurance Agent for Property and Casualty & Life, Accident, and Health. * 15 Years of Management and Leadership Experience. * 10 Years of Credit Repair and Financial Services Experience. * 10 Years of Business Services, Development, and Consulting Experience. * Additional Credentials and Skills Available Upon Request.